Saskia Jordá presents two fictional landscapes that metaphorically speak of the human connection to the land and the impact of our footprint as a mark left on the Earth. 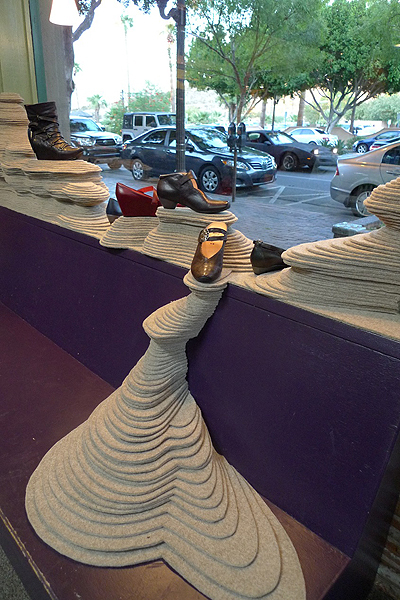 The installation at The Shoe Mill, Unbound, captures a collective portrait through the use of footprints, and resembles a section of land spilling from the window. 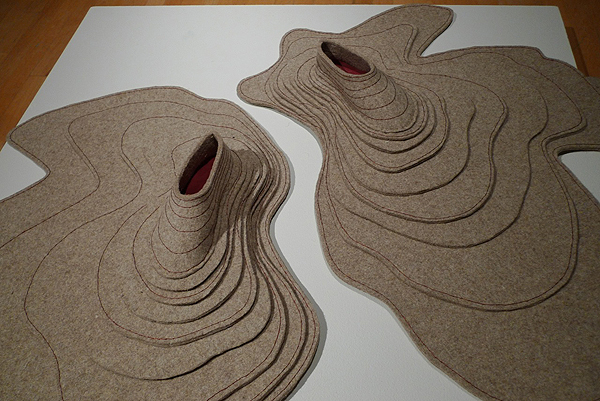 While Bound – Size 7, the freestanding piece here in the Museum, presents a self-portrait through a pair of shoes that emerge from a stacked topography. The artist is interested in how shoes are perceived culturally, the impact they have on a person’s mobility, and how they are used to explore identity. 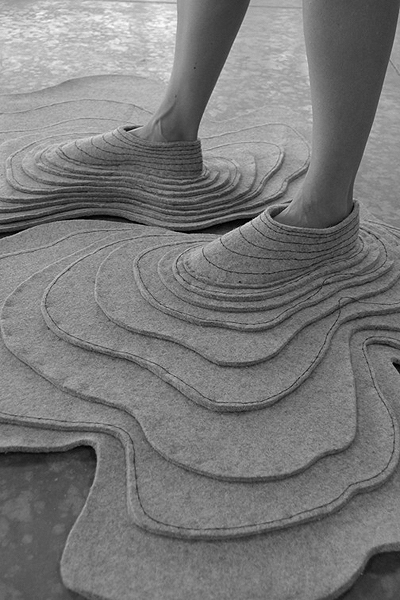 In Bound- Size 7, she has traced her own feet to build a pair of shoes out of industrial felt that emerge from a topographical map. When worn, these shoes limit mobility making it almost impossible to walk, giving the allusion that the wearer is bound to the land. When not being worn, they sit on a low platform and reflect on a deserted landscape. 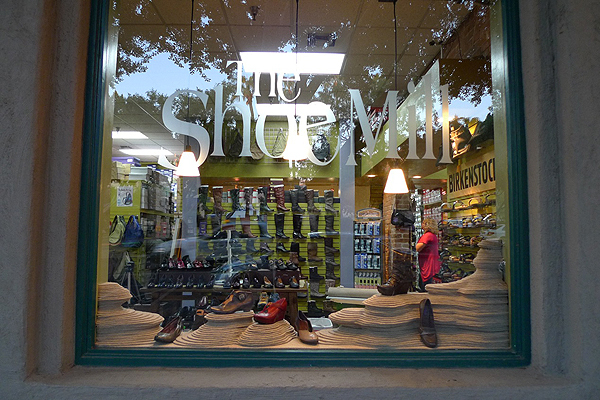 In Unbound, Jordá collected a variety of tracings from shoes on display at The Shoe Mill. 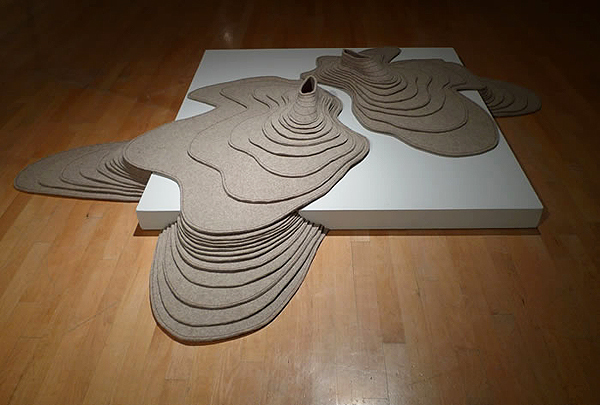 The tracings were then cut out of industrial felt and stacked into hundreds of layers to contour a fictional landscape reminiscent of Arizona’s desert and canyon forms. 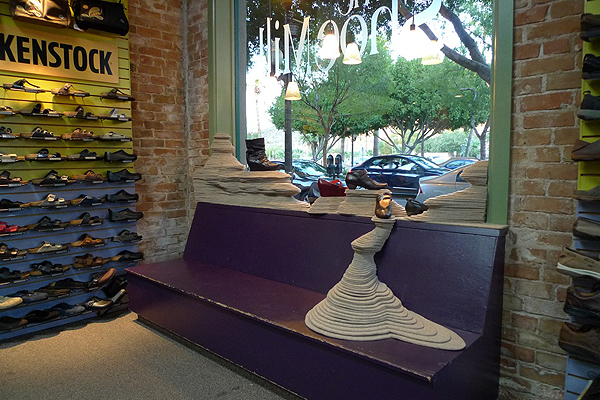 The installation grows from the window spilling onto a low bench and is occupied by shoes on display. Entry filed under: Uncategorized. 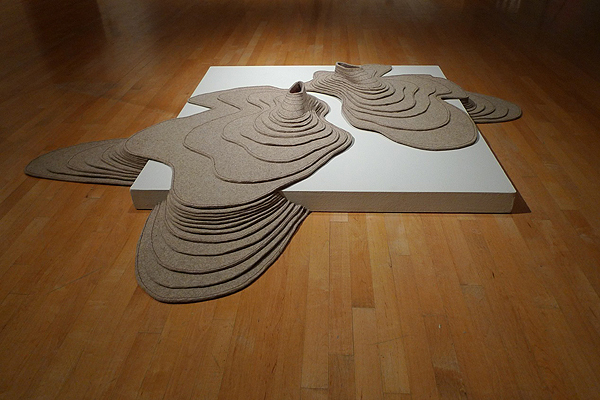 Tags: Arizona State University, ASU Art Museum, Open for Business, Saskia Jorda, The Shoe Mill.